Whilst online, doing keyword research for clients, testing ideas and theories, I am often using keywords for business's and I see so many business's who have an online presence not implementing essential practices for their website and business. 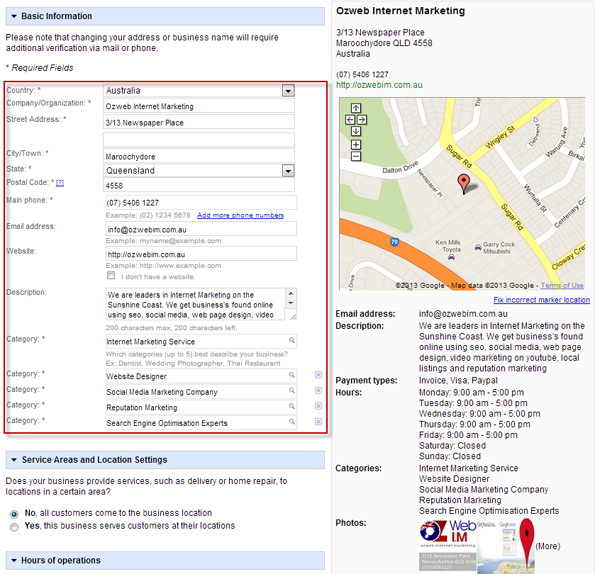 Changing their results integrating Google Places results on to of the front page of their results for local search terms. 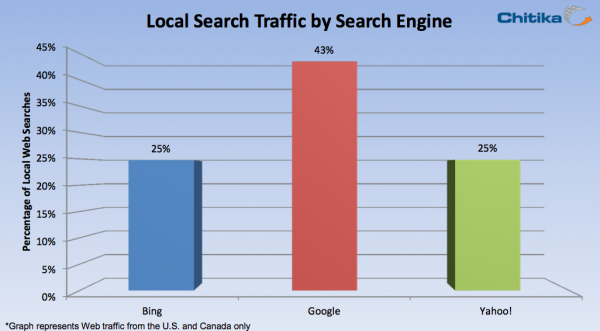 Google are still the king of search with 85% of all search conducted their search engine, and this is where a majority of people are going to search for local business and products. 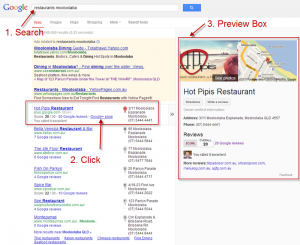 Recent figures from Chikita released that 43% of all search data on Google is for local search. 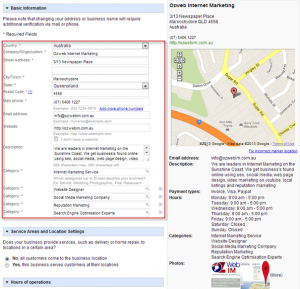 Google provides a suite of products for the business owner to use and these are all free, but they aren't very intuitive but if they are used correctly, the business owner can get a lions share of enquiries for products and services from searches in the Google for their main keywords. 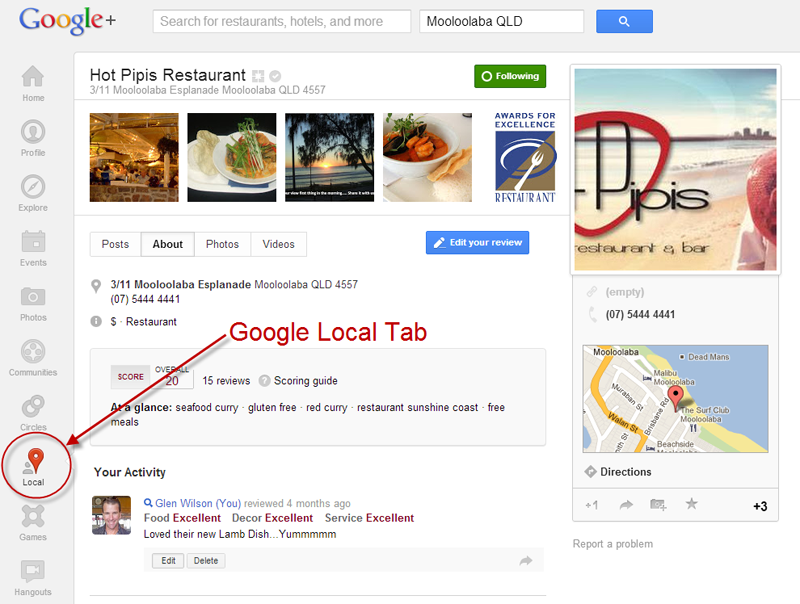 I am amazed at how many business's still have not claimed their Google Places Listing. 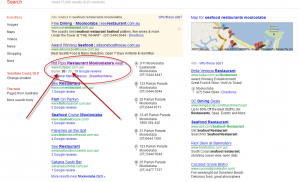 In light of the fact Google is now putting these results above all organic search results, businesses are mad if they don't go in and claim them. Once claimed, these listings can be optimised. 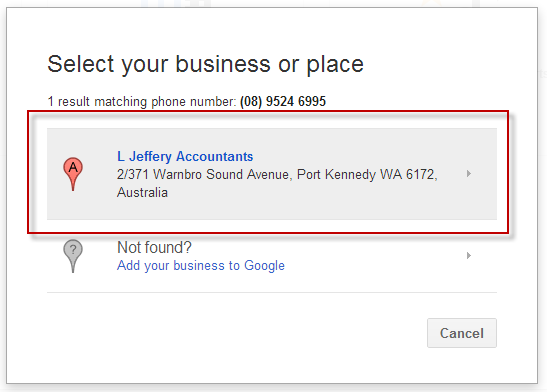 Google is looking for the citation of the business, that is the name, address and phone number of the business. Also important is the website. 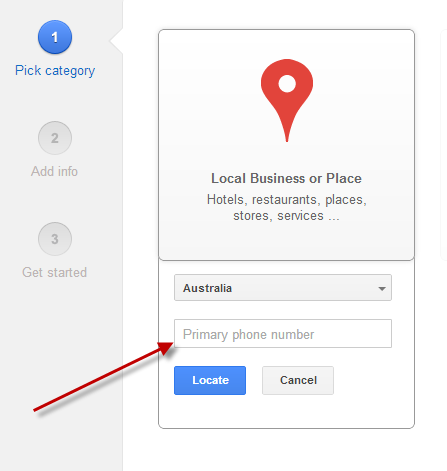 Google gives you a 200 character description and 5 categories so you can define your business and their is a bit of an art to this to make sure these details sync with information on your website as well. You can also add images, videos from youtube, operating hours, payment methods and other information about your business. 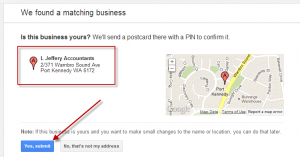 When Google crawls your website, it is looking for any correlation between the Google Places listing and the site. If these marry up, you show up in more search enquiries. So you have to make sure your website is correctly optimised as well with the correct title tags, keywords and on page optimisation so the Google spiders index your content correctly. There is a suite of tools that can help you do this, but this is beyond the scope of this article. 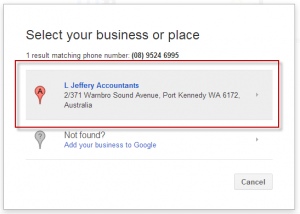 Not only that, if someone types in your business name, your Google Places listing is shown in the results with your website. 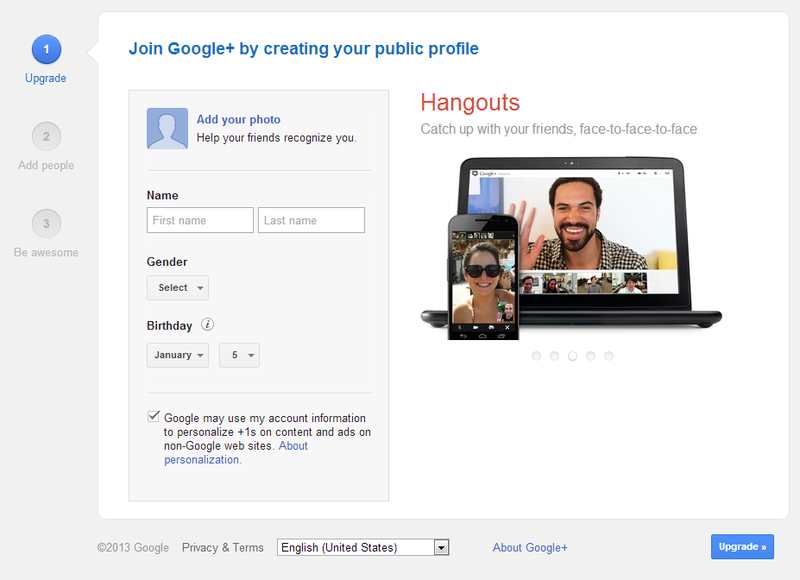 Google Plus (or Google+) is Google's social media platform. It is no where as popular as Facebook, but after using this for a few weeks, I love it. It is so easy to use, beautiful to look at and it can be helpful because of the social media signals that it can output for a business. Google is changing their search algorithm to accommodate these signals and they are looking for people interacting with content. Google have a +1 button now, similar to the like button for Facebook and putting these buttons, along with other social interactions using the facebook like, the twitter tweet, pinterest pin and other social sites. 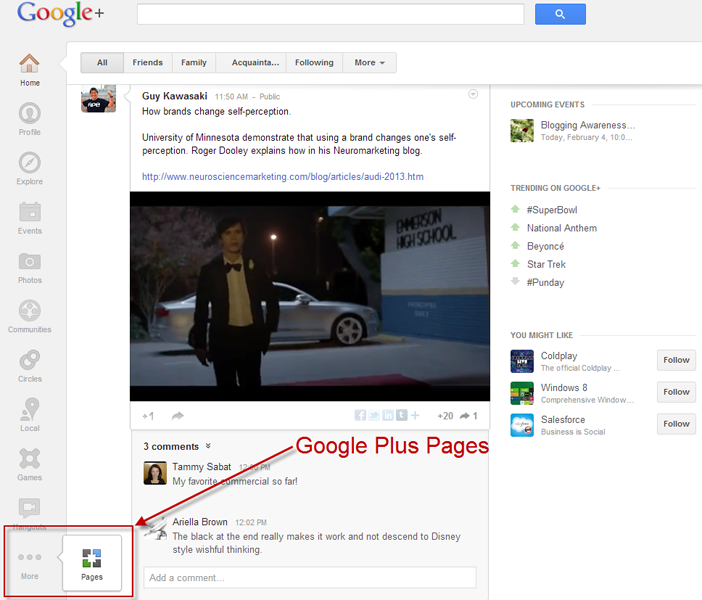 Google now prompts you to open up your Google+ account. 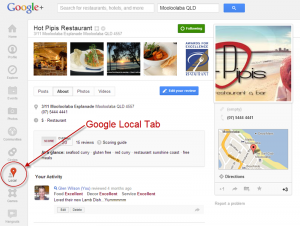 Google now shows all businesses inside Google+ once they are clicked on inside the search results inside their “Google Local” tab. 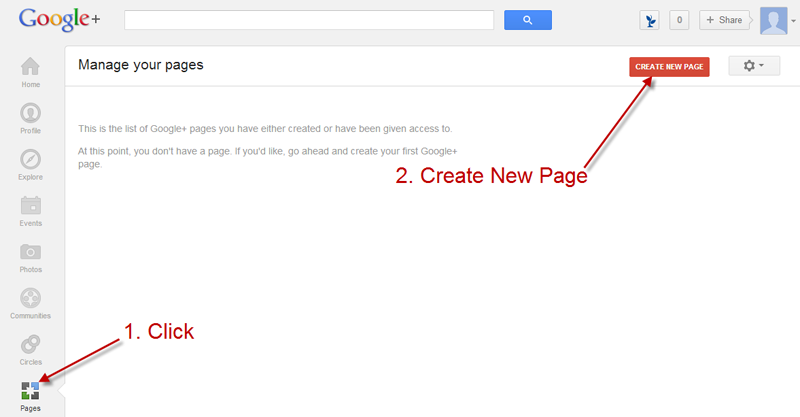 Google now allows Google Business pages for business, but before you get all, “Man, now I have to have another page, what about my Facebook page..” just ease up. Google's plan is to port all Google Places accounts into Google Plus Local. This interface is so much more visually pleasing but it is in the incorporation into Plus which is…sorry for the pun…”The Plus”. When you open up a Google Business Page, you can then verify it with Google Places listing and your website. Then, you can begin posting updates inside your business page. 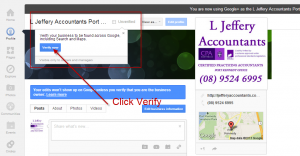 Your visitors can +1 your content inside your page and your website. All of your online presences are synchronised and your social signals are given as votes for the popularity of your content and your website. Google are now encouraging people to leave reviews of business and they are displaying these results front and center for the world to see. This can be a good or bad thing. 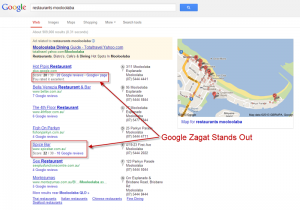 Do a bad job serving your customers, there is a good chance their frustrations will be vented in the public forum and Google Places Zagat system is just the place for them to do it. Conversely, do a good job, and people can leave their positive feedback in this platform for everyone to see. 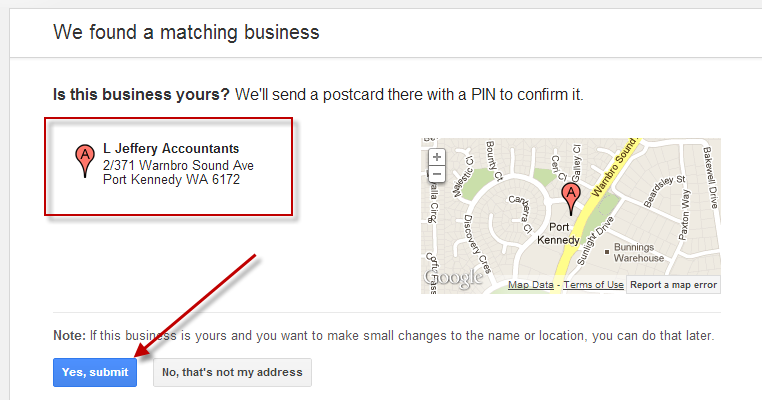 Google is giving priority over businesses inside their Google Places listings for those with reviews. Those that have 10 reviews or more get the Zagat score. 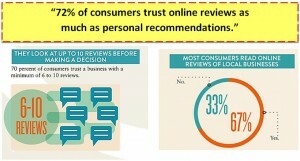 These things stand out and are a major influencer in helping people make buying decisions. As you can see from the above graphic, the magic number is 6-10 reviews. 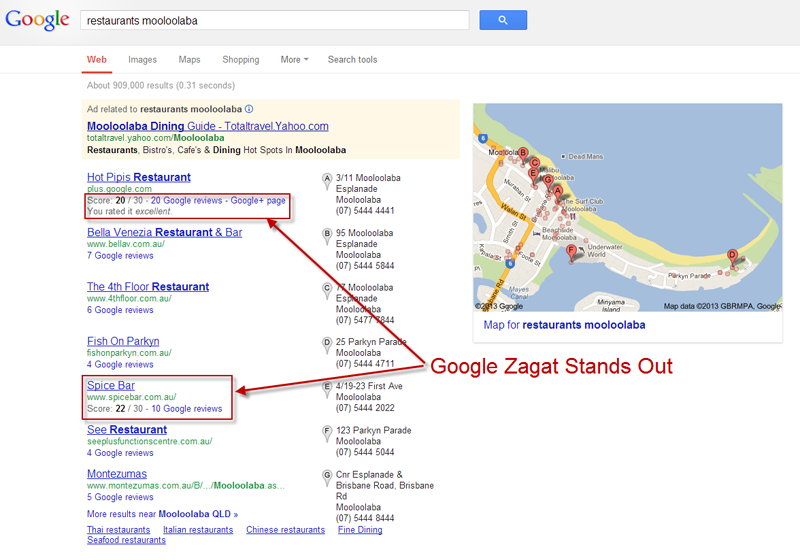 Google's policy of showing the Zagat score is no coincidence, they know this and give their Zagat score after a buisness reaches 10 reviews. 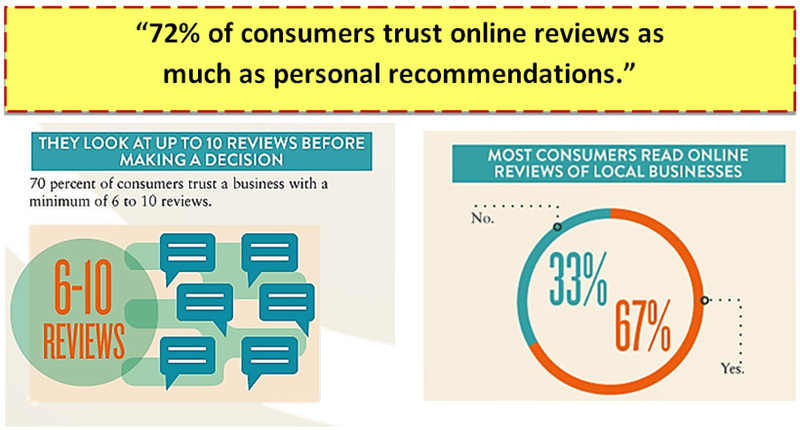 Businesses should be pro-actively seeking reviews from happy customers and getting these reviews inside their Google Places account for prospective customers to see. This is a simple process. 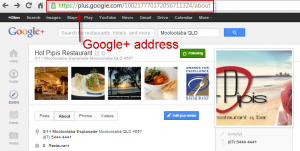 You simply give the address of your Google Plus listing which can be found inside the address bar when you go to your Google Plus Page and send that link to your past customers. 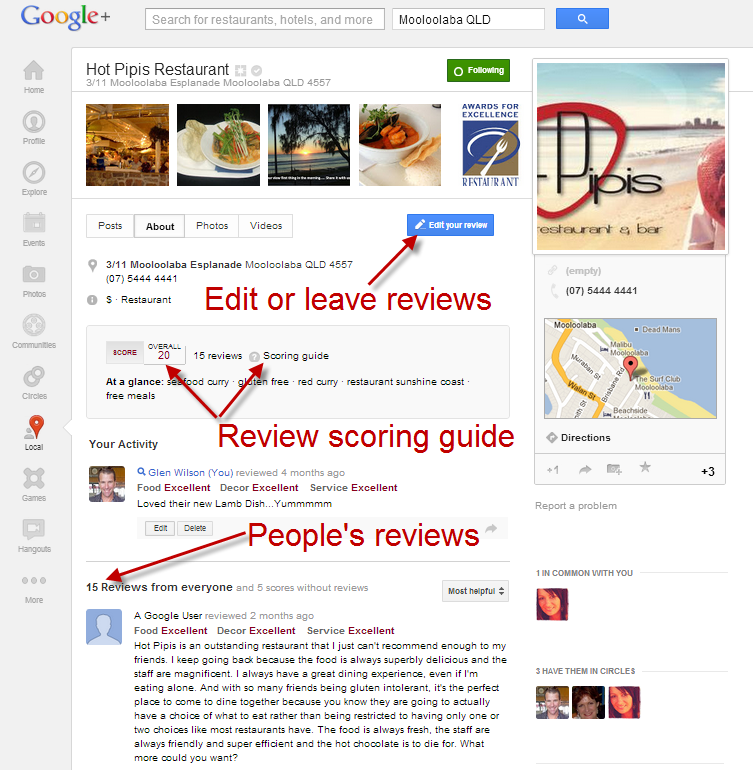 If they have a Google Plus account already, they simply login and provide the review. 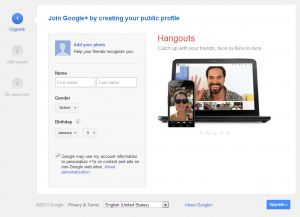 If they don't have a Google Plus account, they can login with their Gmail Account, Youtube Account, Panoramio Account, Google Docs, Google Reader or any other account they have from a Google product and they will be prompted to open their plus account which is a simple and painless process. These reviews will be seen in the public domain but a business should also grab these reviews and place them on their own website so web visitors can see them on their webpage as well. When you are inside your Google Plus Account, you can now edit your profile and place links back to websites you own, like or contribute to. What is the benefit of this? Well you can use a tag called “rel=author” tag which is a rich snippet tool, and if you set it up on your website and link back to the page on your website that has the tag, indexed content by Google, you will start seeing a thumbnail image of you that is grabbed from your Google Plus Profile. 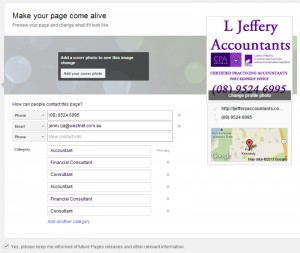 I use a wordpress plugin called social author bio that sets up up all the information for you. All you need to do is put in the rel=author tag in your wordpress user profile and have it link back to your Google Plus Profile. 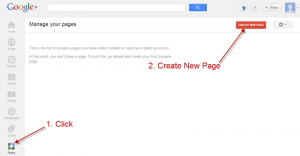 Now, what businesses can do, is if they have opened up a Google Business Page, that page has a Google Plus Profile url and you can now link that url back to your rel=author link and your business will be given authorship markup. 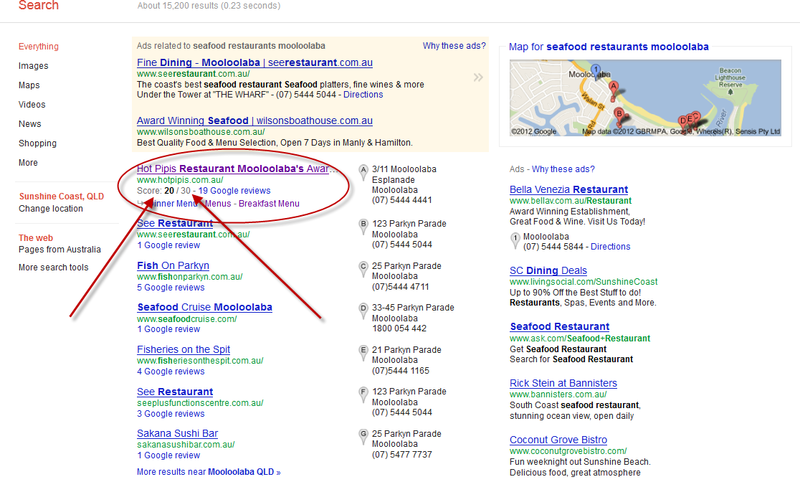 The way to check if the authorship is correct is to use Google's Rich Snippets Tool. 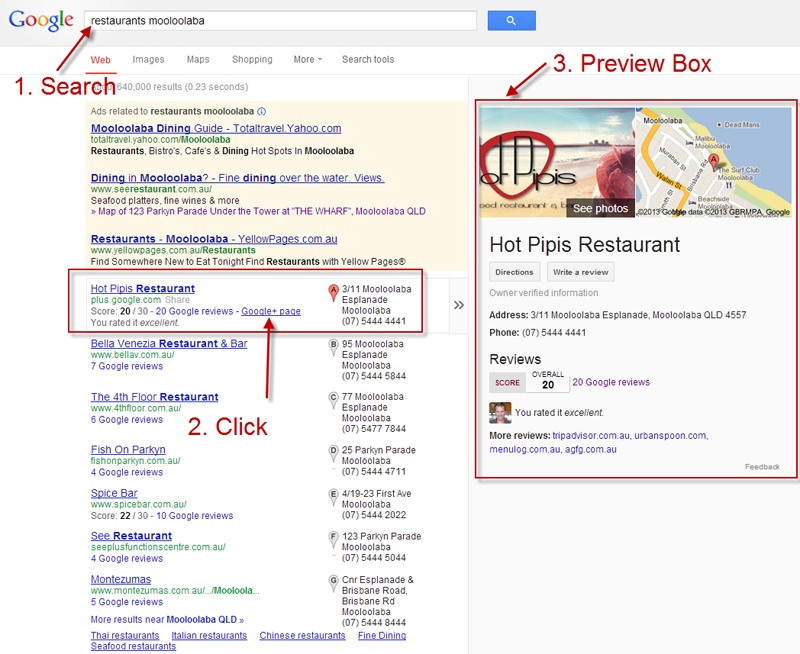 You put in the link that you want to check and Google will spit out what it will show in a search engine result. These steps are not hard to do, but if you implement them, you will be able to give Google a lot more information so they are able to index your site better, give you better exposure online and make your presence in their search engine results a lot more prominent.